It was Joseph P Kennedy, the father of JFK, who said, "When the going gets tough, the tough get going." Since then, people have twisted this quote to suit their own purposes. We're probably all familiar with the self-medication versions: When the going gets tough, the tough go shopping." 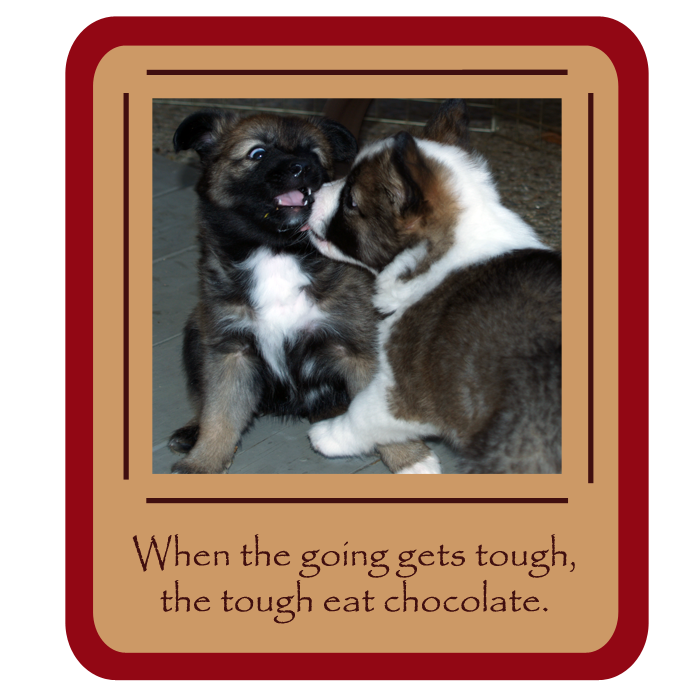 or "When the going gets tough, the tough eat chocolate." But what we do when things aren't going right reveals a lot about us. Jim Berg, in his book Changed into His Image, used the analogy of a tea bag. When you place a tea bag in hot water, it doesn't change. But the hot water reveals what was already in the tea bag. In the same way, difficult times bring out what is already inside of us, whether it be a quick temper or a propensity for chocolate. And while some of these options are humorous and harmless, some are sad, and others are a tad scary. Although I'll admit to being suckered into buying a delightful little wall decoration from Amish country that spouted "When the going get's tough, the tough go to church," I'm not sure that's the answer either. Church shouldn't be limited to the times in which we encounter difficulties. And motives are important too. Church attendance motivated by a religiosity is different from attendance because of a relationship with God. During the tough times in life, while other things may distract or salve, there is only one tried and true remedy. While this promise was given to Israel, God gives some clear principles to learn from today. Question: Where do you turn when trouble strikes? Good post. One of my favorite comments, and I can't remember where I heard it is that, when you're in trouble, especially if that trouble comes from your own willful decision to do things your own way, you can either run from God or run to Him. Yes, I'd rather run to Him. Thanks, DeAnna, I like that quote! I think it also expresses a thought I should have brought out in the post, that not all trouble comes when we willfully decide to go our own way. But regardless the source of the trouble, it is always the solution. The tea bag comment really made me think. Usually I do well with problems, even big crises. And then there are other days when the littlest things can send me into a tizzy, although I try not to show it. I think it's something physical, so I try to take it easy on myself and convince myself that everything will seem normal again in a day or two if I just ride it out. I love the tea bag analogy, and I never would have considered it. And like DeAnna said, I'd much rather run to him than from him. I do try to always make him my first resort. I don't always succeed, but running to him first and praying is my clear goal. Great post, Barb. Yes, I wouldn't be too hard on yourself. I know for me, on days like that, the hot water is bringing out what is already inside: hormones that are all out of whack. LOL. Suzie, True, yet so many people run in the other direction. 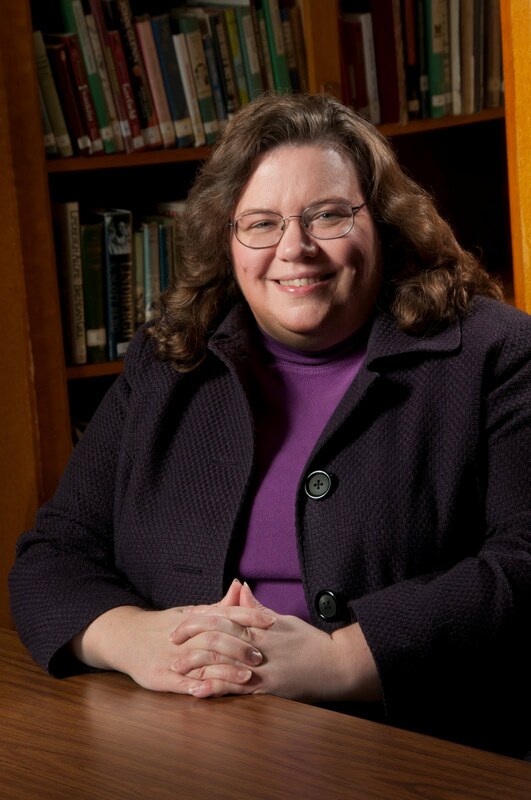 Barb, I loved your thoughts on Seek His Faith. So true It's all about that personal relationship. When I was re-reading it this morning, I wondered if I shouldn't have just camped there. Oh, well. Maybe a future post. When the going gets tough, the tough hit their knees. I lost my grandmother last week. I know I've spent so much time on my spiritual knees begging God for strength for myself, my mother, aunt, and uncles. He has provided in so many ways I can't count them. I've heard the teabag analogy like this, "People are like teabags, you never know how strong they are until you put them in hot water." My condolences on your grandmother--they're truly special people. I remember a ladies' tea I went to once, and we had some herbal tea bags that were unlabeled. Really hard to tell what they were UNTIL they were in water. Then it was clear. Andrea, you and your family have my deepest sympathies. I'll be praying for you.